I wanted to let you guys know about this really cool feature Shopstyle just launched! Have you ever got a pair of shoes that were super cute, but doesn't feel so cute, or just didn't like how that foundation looked on your skin? Have you ever bought something that was way too pricey, and found a duplicate that was way cheaper? I know I have! Which is why I'm so thrilled to tell you guys about this new product review feature on shop style! That's right! Shopstyle launched this life saver to help us girls out so we DON'T buy the wrong thing. I don't know about you, but I really hate buying a nice pair of shoes online, and end up having to return it back because something is ether wrong with it, or it just didn't feel so nice. No one wants corns on their toes! Ladies I know that was funny, but come on we know how that is. We gotta have pretty feet too! So lets praise the gods at Shopstyle for launching such a beautiful thing, and its so simple too! 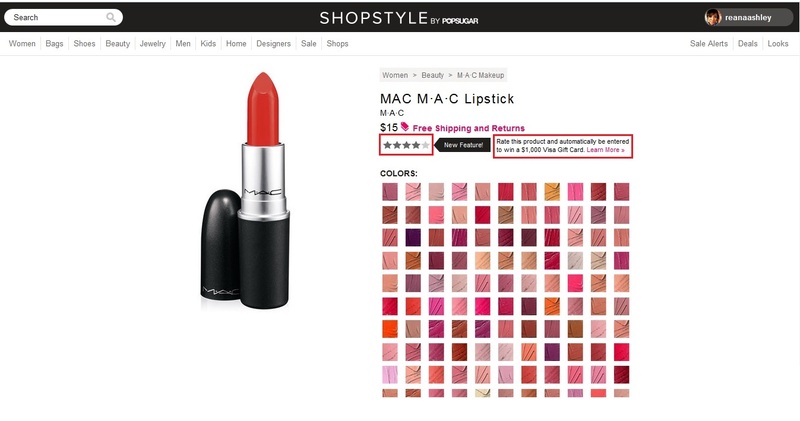 All you have to do is go to http://www.shopstyle.com, and click the category you want to write a review in on the top left. Then you could ether just scroll through the category, or just type in what brand you're looking for in the search bar which I find easier. 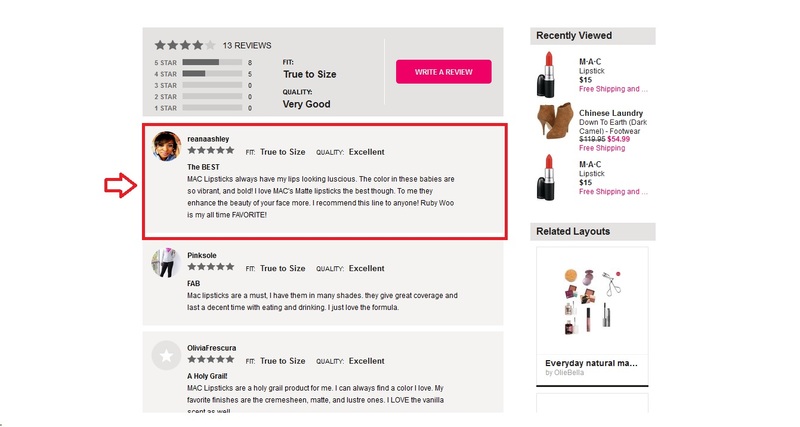 Once you find your brand, just move your mouse over the item you wish to review about, and 5 stars should pop up. Go ahead and click those 5 stars, and now it should take you to the review section about the product. You're going to see a arrow pointing to the five stars that says "New Feature". Go ahead, and click those five stars again. Now it's going to take you to a page where you can write the review. If you need help, they also gave you tips for writing on the top right corner. Once you got your review ready, go ahead, and click preview to make sure everything's perfect. Once you finish making sure your review is in the clear, finish up by clicking the publish button, and there you go! Your review is live on the product page! 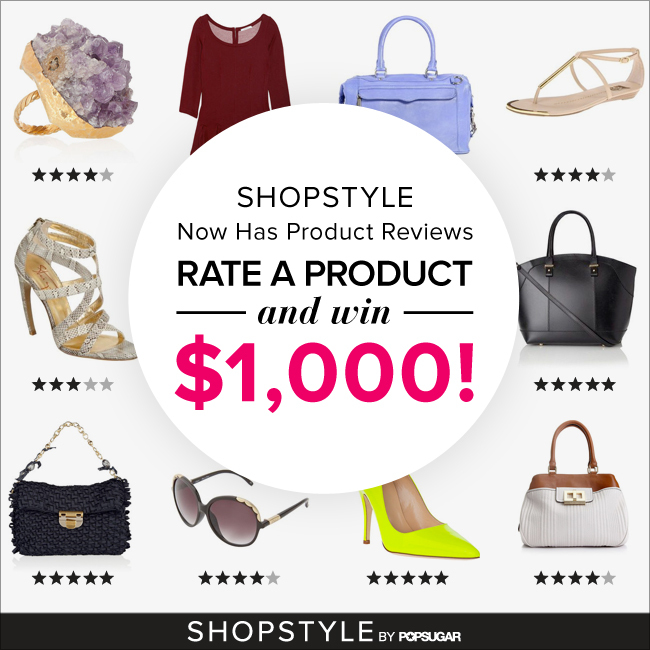 Okay so I know you guys really want information about how to win $1,000 from Shopstyle. Well since now you know how to use the new product review feature, all you have to do now is just review a product, and you automatically entered into Shopstyles giveaway! Yes they're being that generous. I told you guys they have gods working at Shopstyle! at http://www.shopstyle.com! If you guys want more information about the giveaway you can check it out here. Don't forget to tell me what you guys think about the new feature! Disclosure: This post is sponsored by Shopstyle. The opinion expressed here are those of the author and are not indicative of the opinions or positions of Shopstyle. I like it, i'm going to make steps. This is my recent fashion and streetstyle blog, I hope you like it.